Storurd, (The Giant Boulders), is without a doubt one of the most unique and magnificent natural creations in east Iceland. 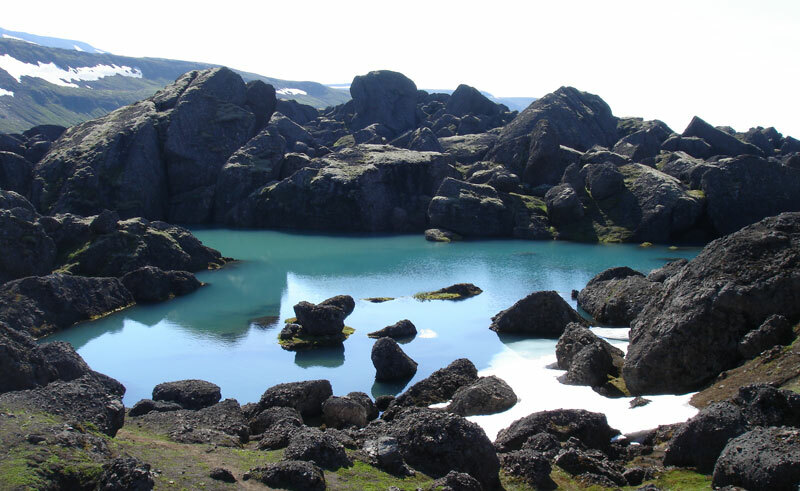 It lies below a small glacier west of the Dyrfjoll mountains and this boulder strewn area was most likely originally created by a landslide at the end of the last Ice Age. The boulders were each carried by a glacier snout to their present location and abandoned there as the ice slowly retreated, leaving behind a truly stunning scene.